The lamp is wrapped carefully in styrofoam in a cardboard box. Unlike others, no assembly is required to use the desk. Basically, you will just need to take it out, open the arm, plug the adapter into a power socket, and it’s ready. 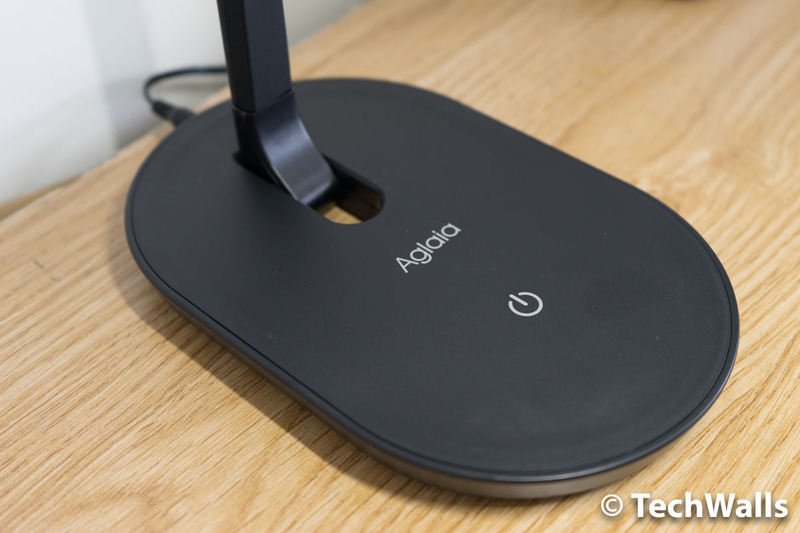 The Aglaia lamp doesn’t really look attractive because of the dull black exterior. However, the build quality is quite good. 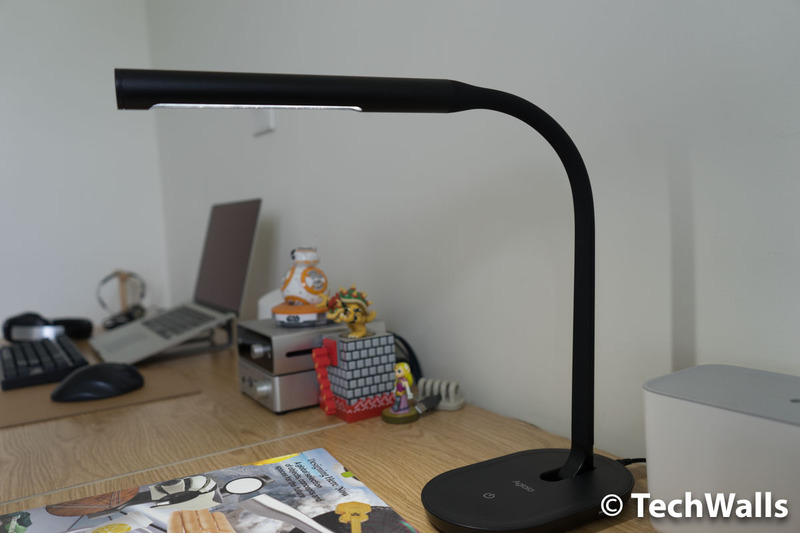 The base is very stable while the lamp arm is flexible for easy adjustment. You can turn the arm to any direction and it will hold its position sturdily. There is only one button on the base. You can use it to power on/off, as well as to change between 3 brightness levels. There is also a USB port on the side but it supports the current of 5V/1A only. As this is a small LED lamp with the power of 7W, don’t expect it would bright up your room. It is just suitable for reading when your book sits right under the light. The lighting is bright enough at the highest level. The only downside is that the light is too white, you won’t be able to change to a softer and warmer light. 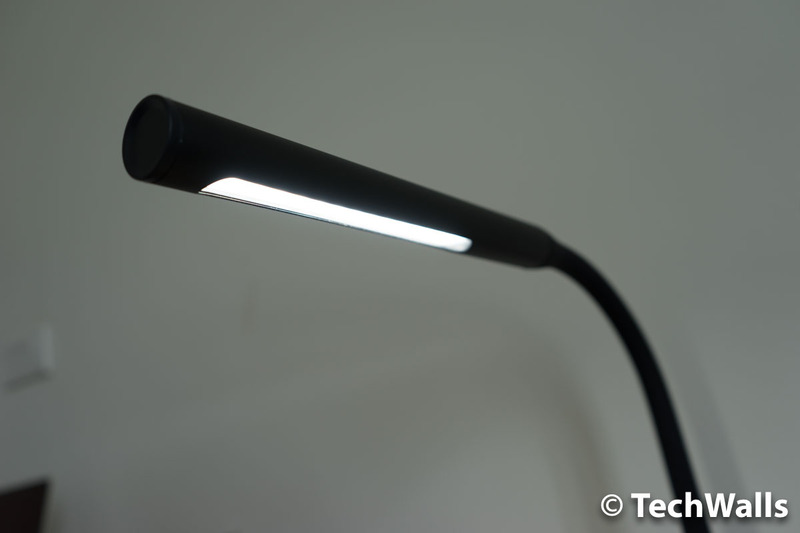 Overall, this is just a good LED desk lamp for the price. We recommend the product when you’re on a low budget. A good budget LED desk lamp.